100% Determined 100% Devastating Prince Demyan Zaretsky does whatever it takes to protect his country. So seducing Chanel Tanner will be easy. And marriage? An unfortunate side effect of duty. She unwittingly holds the economic stability of Volyarus in her hands...and he must secure it. With his royal identity and intent disguised, Demyan sets about a ruthless seduction designed to make Chanel lose her mind with ecstasy. But when he discovers she is a virgin, he uncovers something in himself--a conscience. Now his plan takes a shocking turn--one this dark-hearted prince had never anticipated. 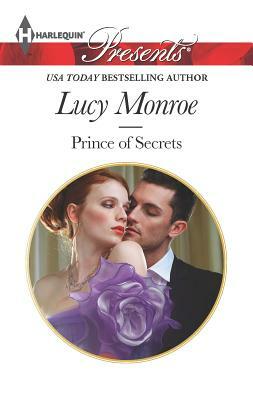 USA Today Bestseller Lucy Monroe finds inspiration for her stories everywhere as she is an avid people-watcher. She has published more than fifty books in several subgenres of romance and when she's not writing, Lucy likes to read. She's an unashamed book geek, but loves movies and the theatre too. She adores her family and truly enjoys hearing from her readers! Visit her website at: http: //lucymonroe.com"